TACFIT Warrior is a bodyweight only program to lose fat and build functional muscle. 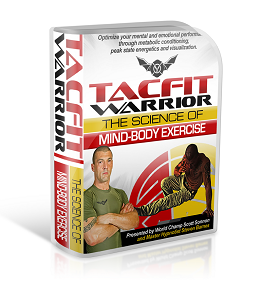 TACFIT Warrior introduces a mental and emotional component. The concentration on the psychological aspect of training is what differentiates the TACFIT Warrior from other TACFIT's programs. Create the body and life of your dreams, Master Fear forever, Turn stress into Power. BLAST through your previous "personal bests" in EVERY arena of your life - as if they weren't there!